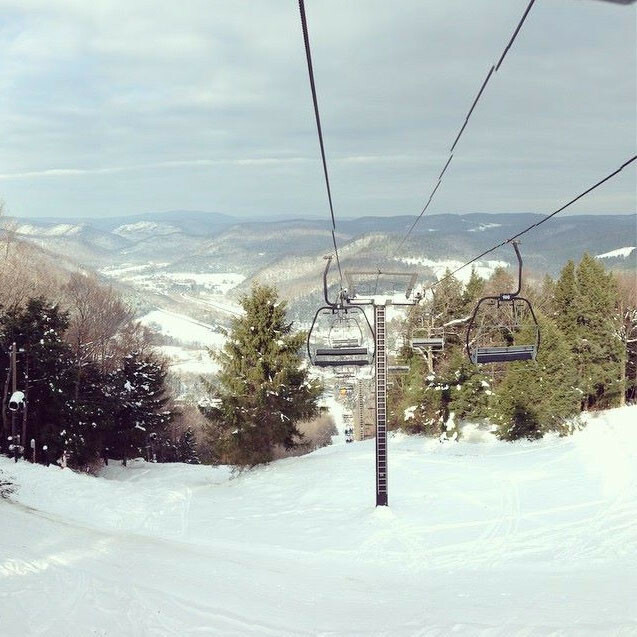 Berkshire East, a family run resort located in Western Massachusetts, has been offering 35 years of quality skiing and snowboarding at affordable prices. Berkshire East recently unveiled their 900kWh wind turbine that produces 100% of their annual electrical need, making them the first ski area in the United States to produce all of their electricity using an onsite, renewable source. The resort also includes 45 trails covered. Berkshire East can make snow on all of its main trails when conditions allow. Affordable lodging and dining options exist in the surrounding Deerfield River Valley. Local restaurants, lounges, and shopping. Two lodges, PSIA ski school, National Ski Patrol, snowboard rentals, and special events all season long. One-hundred percent snowmaking.